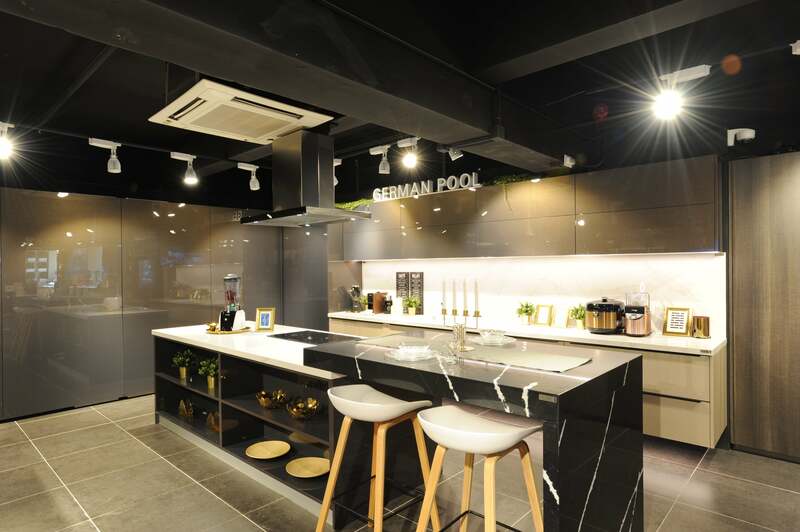 German Pool, a Hong Kong brand of cabinetry and home appliances of 35 years, has opened a Hong Kong Island flagship store in the Wan Chai strip of Lockhart Road. 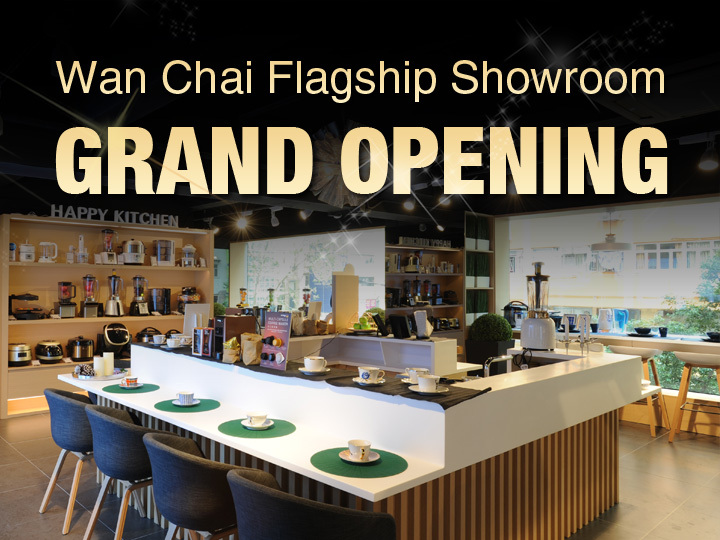 The grand opening ceremony and cocktail party have been held on January 19, 2018. 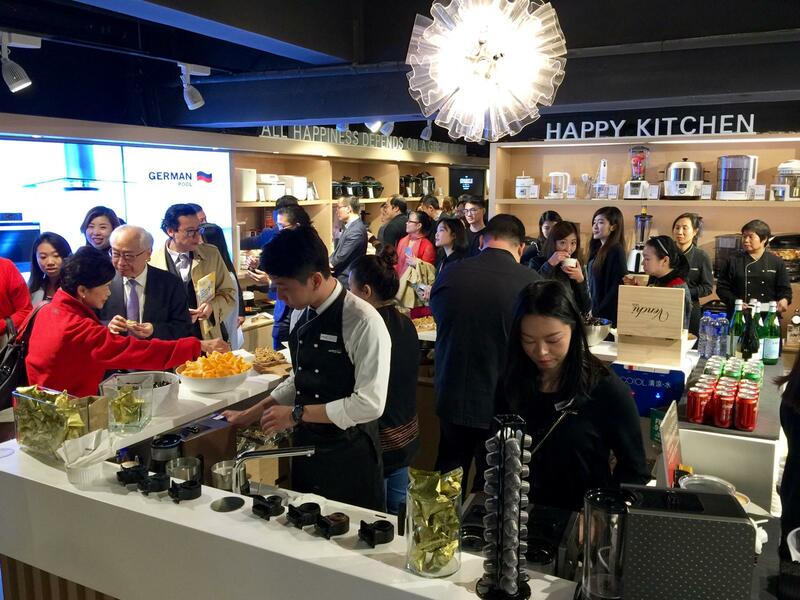 Guests and participants include Mr. Leung Kwan Yuen, JP, President of the Legislative Council and Mr. Robert Fontana, Chairman of Disciples Escoffier Asia, among VIPs across industries. Officiating guests of the grand opening ceremony are (from the left, in front row) Mr. Wang Jun, Director-General of Coordination Department, Liaison Office of the Central People's Government, Mr. Yu Kam Chung, Partner of German Pool, Mr. Jimmy Kwok, Chairman of Federation of Hong Kong Industries, Dr. Bernard Chan, Under Secretary for Commerce and Economic Development, Mr. Leung Kwan Yuen, JP, President of the Legislative Council, Dr. Edward Chan, Founder of German Pool, Dr. Dennis Ng, President of Chinese Manufacturers' Association of Hong Kong, Dr. Roy Chung, Chairman of the Vocational Training Council, Mr. Felix Chung, Member of Legislative Council, Mr. Greg So, former Secretary for Commerce and Economic Development, and Mr. Irons Sze, Permanent Honorary President of Chinese Manufacturers' Association of Hong Kong. 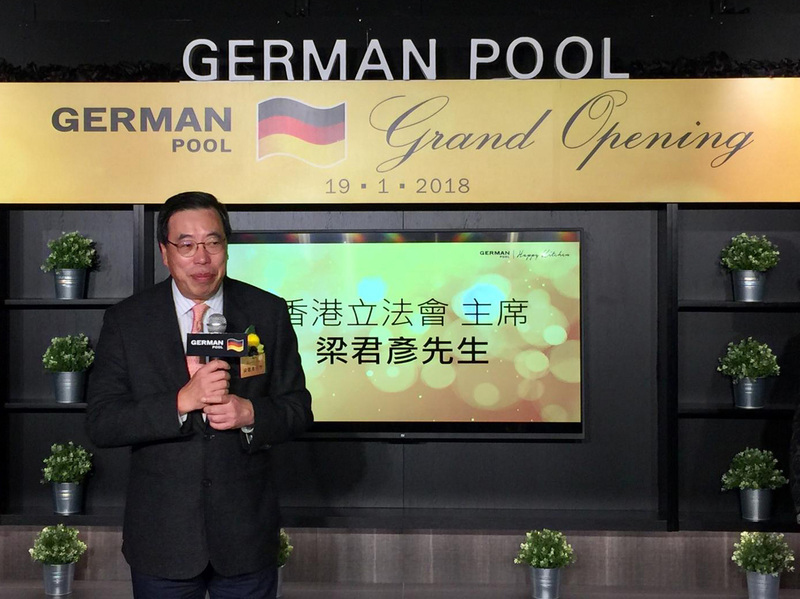 Dr. Edward Chan, Founder of German Pool, delivers the opening speech. 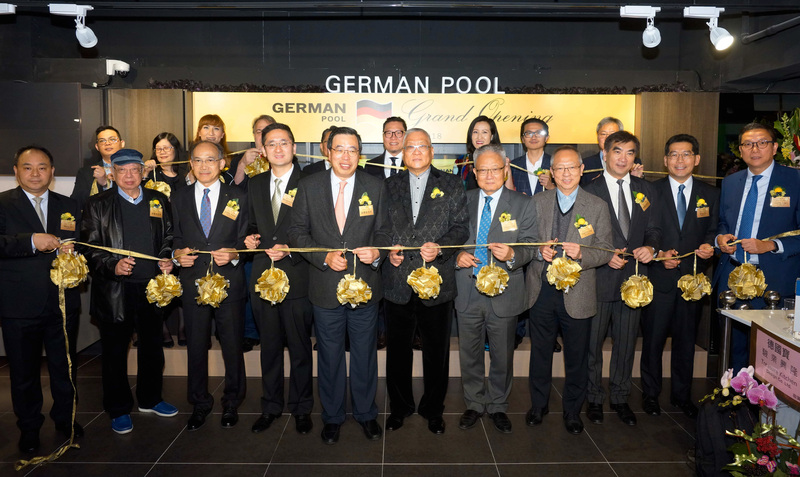 Mr. Leung Kwan Yuen, JP, President of the Legislative Council, congratulates on the grand opening. 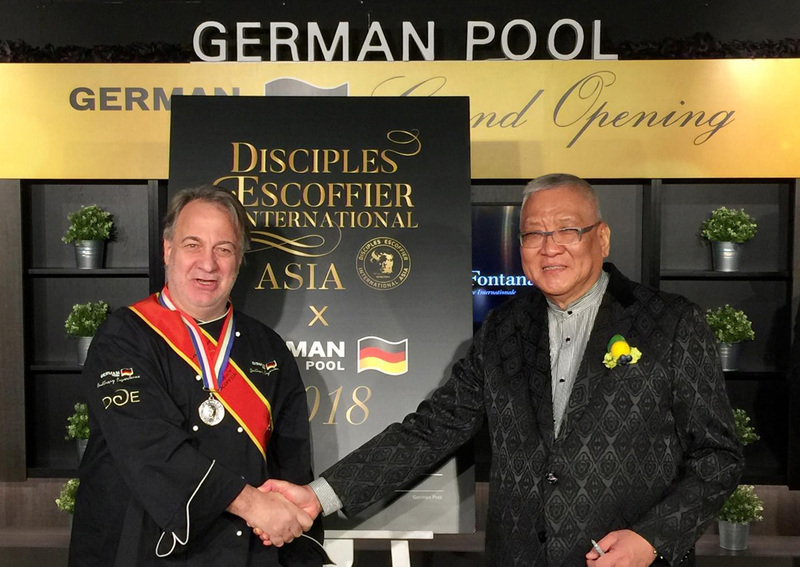 Mr. Robert Fontana, Chairman of Disciples Escoffier Asia, has forged a strategic partnership with German Pool to bring the Learn & Dine high-class culinary experience to Happy Kitchen. 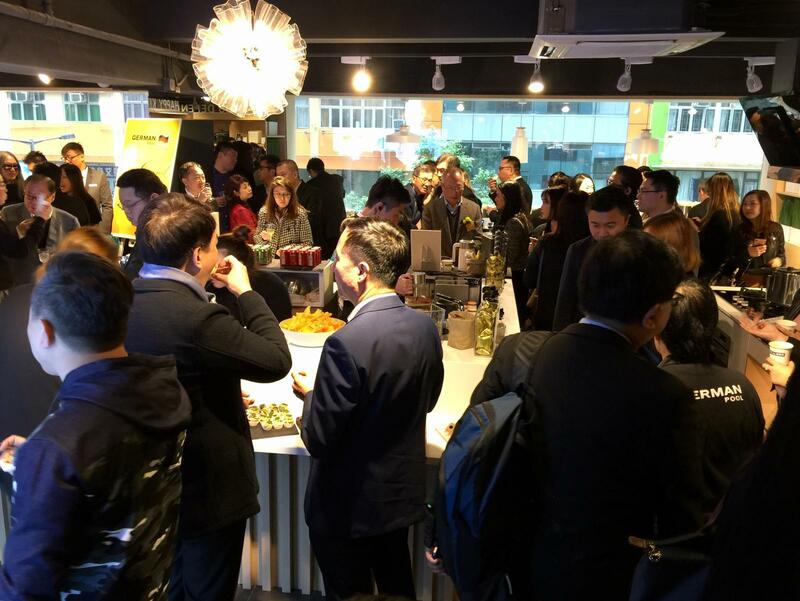 The French Sous Vide culinary culture will be presented to the Hong Kong people in its most original and extravagant flavour. 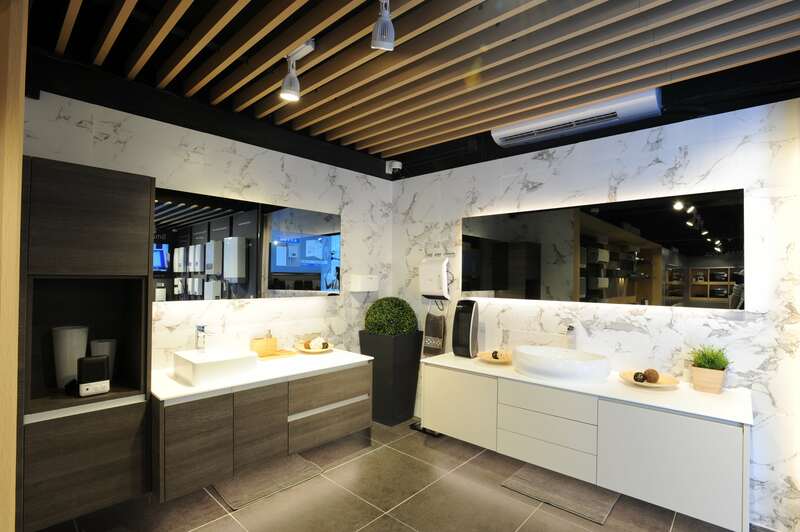 Guests across industries visit the German Pool Cabinetry & Appliance Centre in the Wan Chai strip of Lockhart Road. 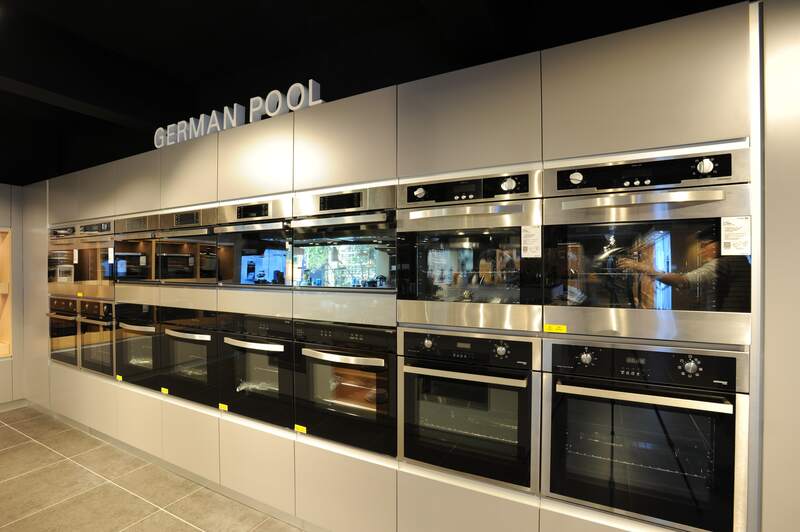 The brand new German Pool Cabinetry & Appliance Centre is a superior and comfortable one-stop shopping experience. 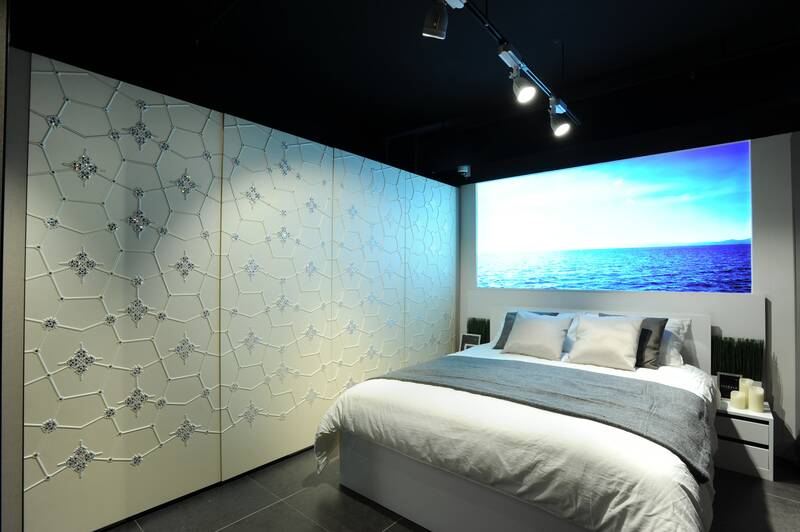 In the showroom, water heaters, lifestyle electronics, seasonal electronics, fitness products, home equipment, built-in appliances, custom cabinetry, and THE SPARKLE COLLECTION, jointly presented with Swarovski, are proudly on display for your contemporary and luxurious homes. 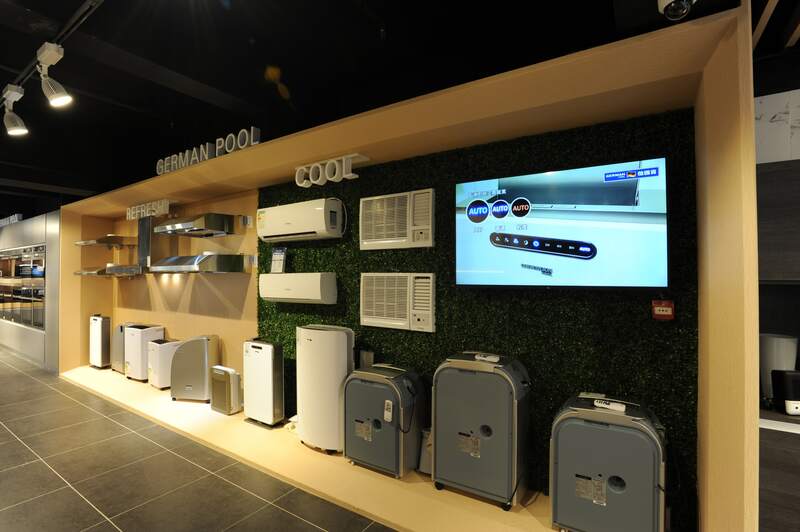 The one-stop home furnishing solution of German Pool includes European-imported custom kitchen cabinets, wardrobes, TV set cabinets, storage systems, and hardware accessories, guaranteed to suit your needs. 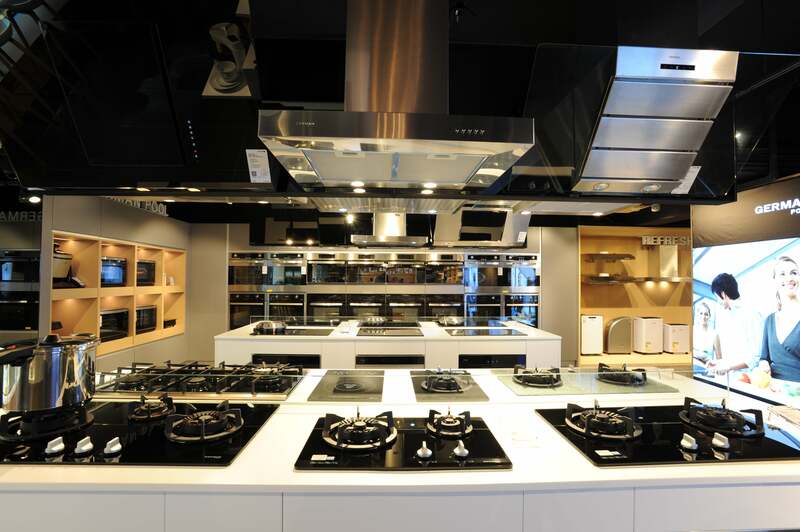 Kitchen cabinets and built-in appliances, for example, range hoods, cookers, ovens, microwave ovens, dishwashers, refrigerators, and washers, work and lookseamlessly and stylishly together. 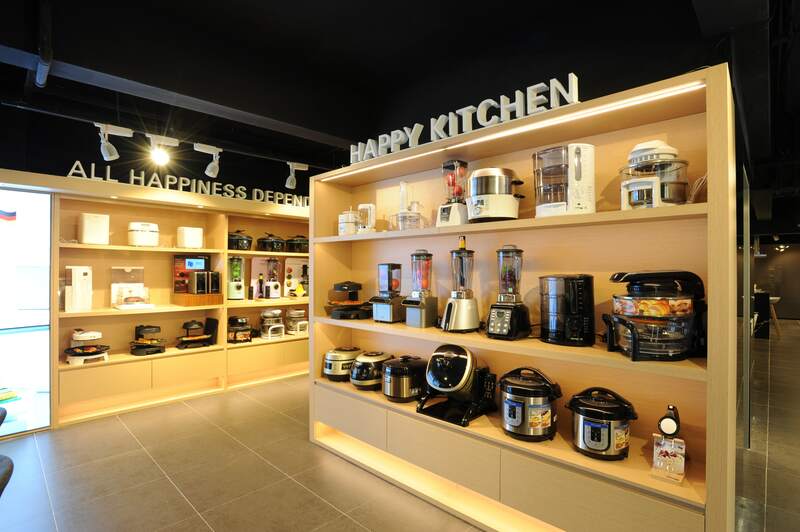 German Pool kitchen electronics are popular among Hong Kong households, including SOUS VIDE PRO Slow Cook Circulator, Professional High-Speed Food Processor, Multi-Capsule Coffee Maker, Automatic IH Stir-Fryer, Halogen Cooking Pot, 3D Infrared Korean Barbecue Grill, and Automatic Dough & Noodle Maker. Pick one and become the chef for your family. 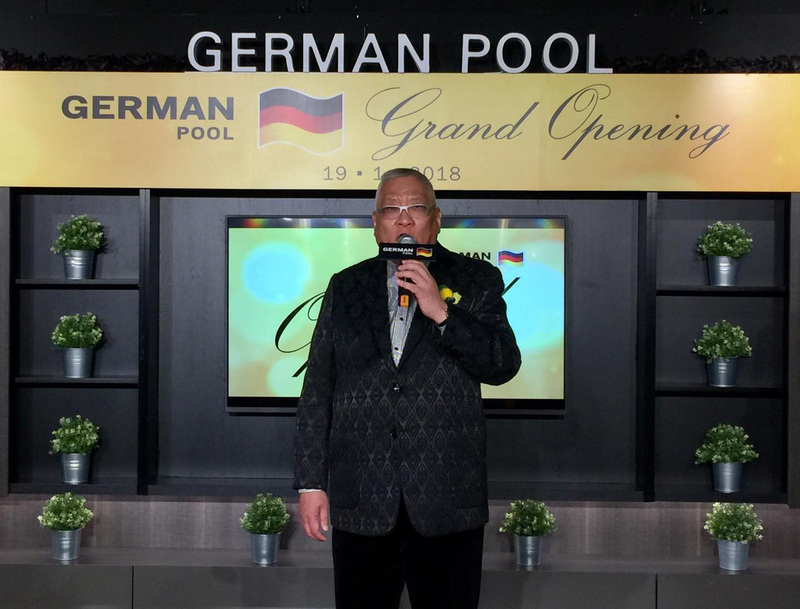 German Pool has been a celebrated importer of water heaters. 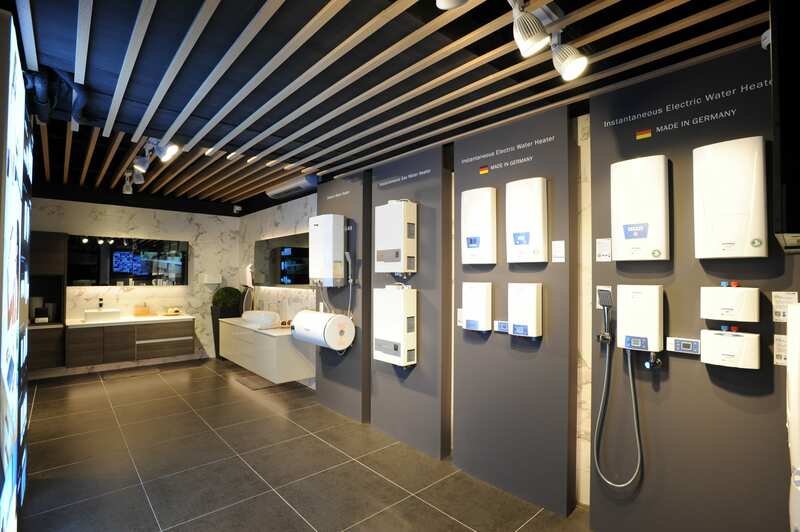 On display in the showroom are also German-made instantaneous water heaters, storage water heaters, gas water heaters, and solar water heaters. 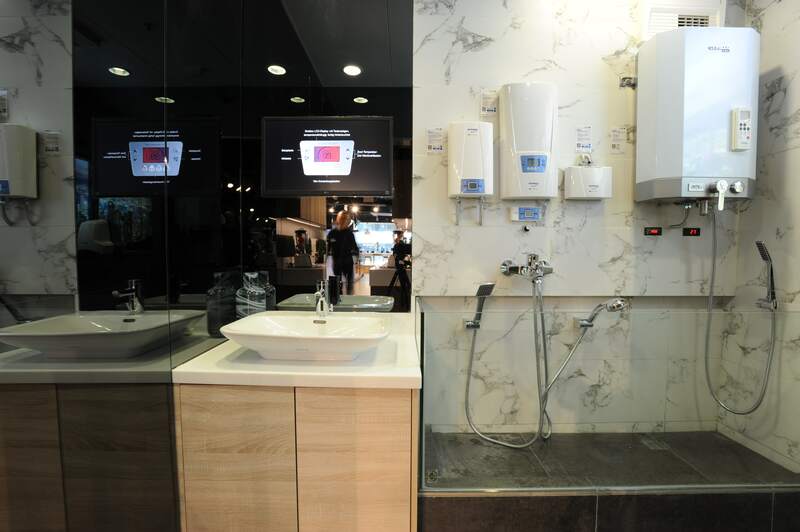 With the Smart Control system, setting for and usage reports of the water heaters are available on a convenient mobile app. 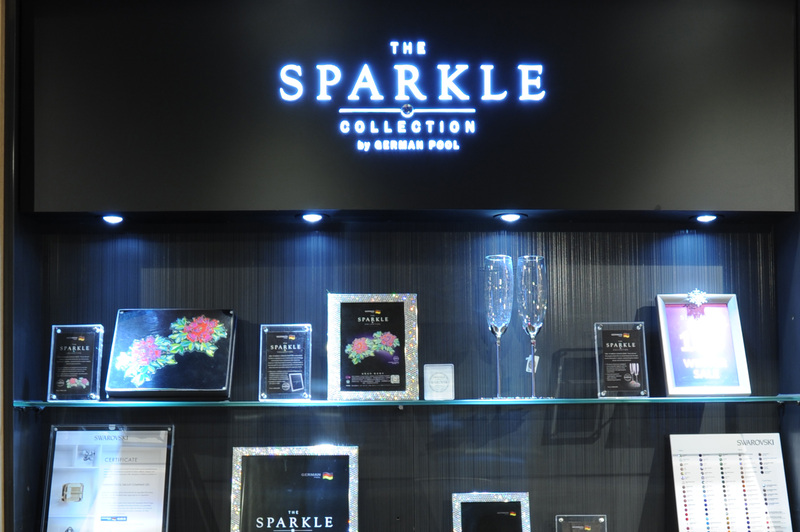 Proudly presented with the renowned Austrian crystal brand Swarovski, The SPARKLE COLLECTION of custom cabinetry, kitchen appliances, and lifestyle electronics are what your home needs for elegance and excellence.